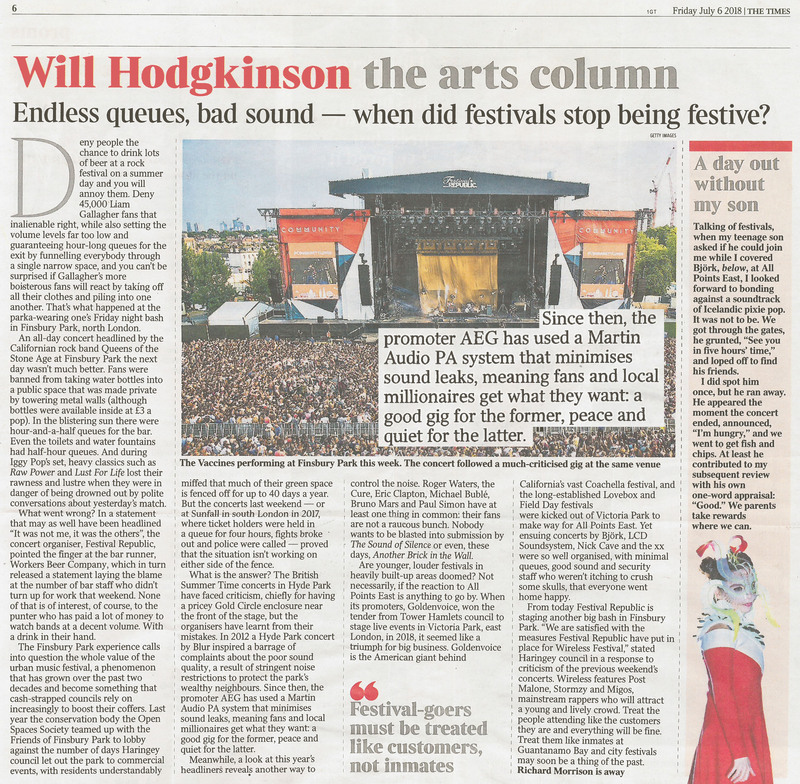 Promotor AEG has been using Martin Audio that minimizes sound leaks for years now for its festivals in the center of London. It gives the fans and local millionaires what they want, a good gig for the former, peace and quiet for the latter. AEG has transformed the festival experience and shows how it should be done. For more info on the used techniques and Martin Audio hardware, feel free to contact Neel Swinnen or Glenn Willems. For the Belgian festival market these high-end sound systems are available for rent at ARC Productions and SBE.